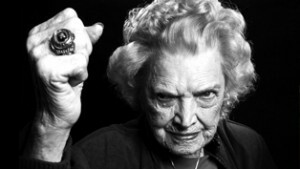 “WWE is greatly saddened by the news that WWE Hall of Famer Mae Young, beloved member of the WWE family and oldest living squared circle personality, has passed at the age of 90.
ever lace up a pair of boots. A proud competitor for three quarters of a century and valued part of WWE to her last day, Young truly blazed a path for future female grapplers beginning in the 1940s. the most storied rivalries of the time with the legendary Mildred Burke in 1954 and being among the first female competitors to tour post-war Japan. This entry was posted on Wednesday, January 15th, 2014 at 1:54 pm	and is filed under Tragedy. You can follow any responses to this entry through the RSS 2.0 feed. You can skip to the end and leave a response. Pinging is currently not allowed.